Finca la Torre has a more than 2,200 – year tradition as olive – oil mill. The company is one of the oldest in the world and looks back on a lively history. Its Roman roots are apparent everywhere and exhibited for visitors to see in the form of ruins (pillars, parts of the torcularium) at the main entrance. 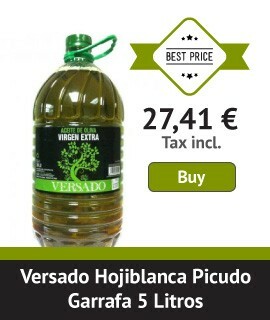 Extra virgin olive oil Ecological and biodynamic, fruit from the harvest of the best Arbequina olives from Malaga olive trees. Finca La Torre Coupage is an oil made carefully, a mixture of the varieties Hojiblanca, Arbequina and Cornicabra and whose extraction in cold makes it retain its maximum properties. Different harvesting methods are used on the Finca la Torre, depending on location, cultivation and the ripeness of the fruit. Regardless of whether harvesting by hand or mechanically using a vibration machine, our main focus is always on the fruit, which we harvest with utmost care in order to prevent damage. After harvesting, we take the fruit to the mill as quiclly as possible in ventilated containers weighing a maximum of 200 kg. Advanced technology and the highest hygiene standards borne out of our passion and commitment ensure both extraordinary oils and continuing tradition. With a variable capacity of 1,5 – 3 tons/hour, we are able to respond with optimum efficiency to the crop yield. Thanks to the central location of the mill building and short routes to the olive groves, the olives are generally ground within two to four hours of harvesting.